At Manor Park Dental practice we take complaints very seriously. 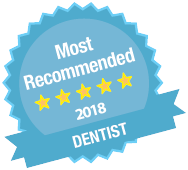 We strive to ensure that all our patients are pleased with their experience of our service. When patients complain, they are dealt with courteously and promptly so that the matter is resolved as quickly as possible. We learn from every mistake that we make and we respond to customers’ concerns in a caring and sensitive way. If you have cause for complaint, this will need to be initially addressed with our Manager, Ms. June Sharp. If the complaint is not dealt with satisfactorily at this level, the complaint escalates to the service provider i.e. dental care provider. If the complaint does not satisfactorily resolve at this level, the complaint escalates to the Clinical Director. The person responsible for dealing with any complaint about the service which we provide is the Practice Manager. If the patient complains in writing or by email, it will be passed on immediately to the Practice Manager and/or care provider. We will acknowledge the patient’s complaint in writing and enclose a copy of this code of practice within 3-5 working days. Millbank Tower, Millbank London SW1P 4QP (tel: 0345 015 4033 or www.ombudsman.org.uk for complaints about NHS treatment).